Revelator Coffee Company believes in quality things that work beautifully. It’s a philosophy of great design that we share, and we’re proud they tapped us to build their inaugural retail location, designed by Berkeley-based Fisher Architecture. 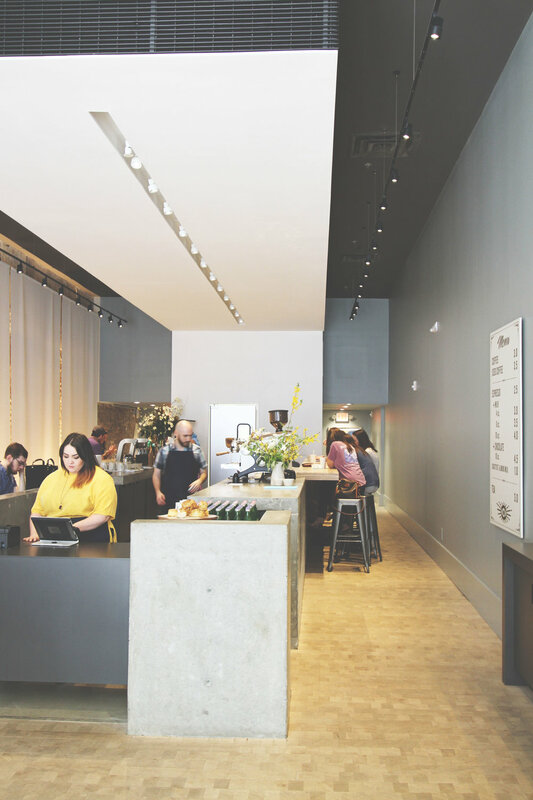 Revelator is no ordinary coffee shop. They needed a space with a clear concept but an accessible feel. The rough walls and original column could easily have led toward a rustic, industrial design, but plenty of other places already do that well. Instead, we reclaimed what we could and softened it with layers of clean, modern styling and a single flood of bright, natural light.